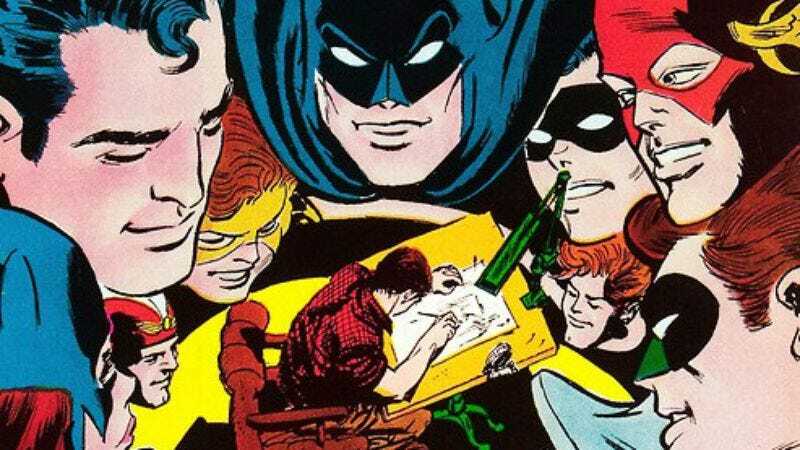 Carmine Infantino, a legendary figure in the Golden and Silver Ages of mainstream comic books, has died at 87. When Infantino was a high school student, he spent a summer working for Harry “A” Chesler, who ran one of the earliest comic book “packaging” studios. His first published work, inking Frank Giacoia’s pencils on a Jack Frost story for Timely (later Marvel) Comics, appeared in 1942, when Infantino was 16. The book’s editor, Joe Simon, offered him a staff job, but Infantino’s father wouldn’t let him quit school to take it. After graduating, Infantino worked as an artist for Simon and Jack Kirby’s Prize Comics, DC Comics, Hilmman Periodicals, and other publishers, working on such characters as Airboy, the Heap, and the Golden Age Green Lantern. 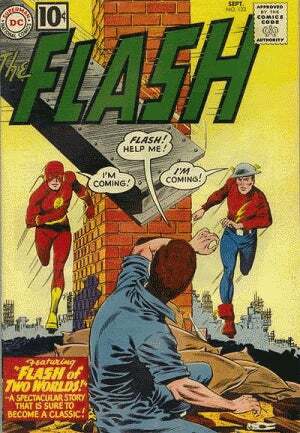 In 1956, Infantino and writer Robert Kanigher co-created the new Flash, Barry Allen. Their work on the series inaugurated the Silver Age and was instrumental in establishing the DC Multiverse. Infantino also updated and revived the look of DC’s fading flagship hero Batman and made the sci-fi adventurer Adam Strange his own through his work on the Mystery In Space series. Infantino also co-created such characters as Batgirl (with writer Gardner Fox), Deadman (with writer Arnold Drake), and Animal Man (with writer Dave Wood). But Infantino also brought new blood to the company, hiring writer Denny O’Neil and artist Neal Adams, who would go on to work together on the revitalized Detective Comics (starring the post-Adam West Batman) and Green Lantern/Green Arrow. And on his watch, DC published a large array of comics that, however badly they may have sold at the time, the company would still be bragging about (and republishing) decades later: Joe Kubert’s Tarzan, the most high-profile of several adaptations of the pulp adventures of Edgar Rice Burroughs; O’Neil and Michael Kaluta’s The Shadow; Sergio Aragones, Nick Cardy, and Sheldon Mayer’s Western hero Bat Lash; the earliest adventures of the Western antihero Jonah Hex; Archie Goodwin and Walt Simonson’s Detective Comics backup serial Manhunter; O’Neil and Howard Chaykin’s space adventure hero Ironwolf; Len Wein and Berni Wrightson’s Swamp Thing; and the humor comic Plop! Infantino often said that, despite all the work he did on superhero comics, they never had any particularly special place in his heart, and he was eager to give other creators a chance to try their hand at comics that broke the increasingly familiar costumed-crime fighter mold. But that experiment pretty much ended at DC when his suit-and-tie job there did.